South Asia is one of the volatile region in the world. Its two major states India and Pakistan, seek security in deterrence stability, are at constantly daggers drawn against each other. Historically, both states have adopted maximalist approach towards security based on ceaseless arms race. Nuclear weapons play a pivotal role in the strategic environment of South Asia. The strategic weapons of Pakistan serve as a deterrent against a proposed Indian attack. The advent of nuclear deterrence has acted as an ultimate guarantor of Pakistan’s security. In a number of crises and low intensity conflicts such as the Brasstacks Exercise of 1986-87, the 1990’sIndia-Pakistan Crisis, Kargil Conflict of 1999, Operation Para karam which occurred in 2001-02 andthe 2008’sMumbai Crisis,nuclear deterrence effectively prevented both sides from going into full scale war. After 2001, India introduced several changes in its conventional military doctrine as well as its strategic force posture. Heavy war machinery is currently being purchased and forces modernized. Cold Start Doctrine (CSD) and Pro Active military operations have been introduced to fight limited war ‘under the nuclear overhang’. In order to weaken Pakistan’s ‘first use’ policy, India built Ballistic Missile Defence (BMD) system and conducted its first test in 2006. With the expected launching of INS Arihantnuclear submarine by India in 2015, it would complete its nuclear triad after achieving nuclear capable land based missiles and aircraft capabilities. The strategic superiority of Indiahas created asymmetry in the strategic environment of South Asia. India has not remain limiteditself to submarine, conventional or nuclear, but it is on the way of its own blue water navy. The development of Indian BMD and nuclear submarine has causeda deterrence instability by provoking arms race in the region. Technically, BMD system is a defensive weapon which not only providesa shield against the enemy’s incoming missiles but it also rouses its host on a pre-emption against the enemy especially who lacks the BMD capability. Similarly, the nuclear submarine is a defensive-offensive capability and provides second strike capability even after absorbing the first strike. Both capabilities discourage the core essence of the nuclear deterrence between two rivals. In Pakistan-India context, the strategic superiority of India may not onlytempt the countryfor initiating first strike but it may also convince it to initiatea limited war against Pakistan ‘under the nuclear overhang’. Pakistan has the capabilityto deliver its nuclear arsenals through land based missiles, aircraft, and is on the way to deploy its nuclear capable missiles on ships. In 2012, Pakistan inaugurated the “Naval Strategic-ForceCommand (NSFC)”in order to create a robust, effective, secure and credible nuclear deterrence through their “Naval Custodians”. In this context, nuclear capable Hatf-VII Babar cruise missile has been tested which can be launched from a ship and has a range up to 700 kilometers. Currently, Pakistan’s second strike capability is based on a strategy to disperse its nuclear forces into different places of the country to protect them from enemy’s first strike. The dilemma with strategic forces whether land and ship based or aircrafts is that these aredetectable and vulnerable tofirst strike. 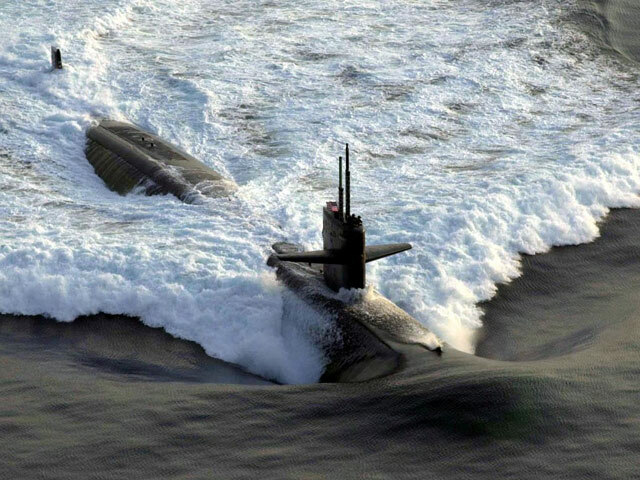 Technically, the nuclear submarine can be justified that it is not easily detectable and is considered as the most survivable ingredient of the nuclear triad. In the presence of nuclear triad capabilities, it is not possible for either side to launch a surprise attack or first strike due to the fear of mutual assured retaliation. It is not possible for nuclear rivals to destroy others nuclear forces; land based missile, aircraft and nuclear submarine concurrently. It guarantees survival against assured destruction and maintains deterrence stability. The nuclear submarine development by Pakistan would bring main changes in its nuclear doctrine. Pakistan’s current nuclear doctrine is based on the “First Use” policy perhaps due to a lack of capabilities which could provide an assured second strike capability. Experts undertake critique on Pakistan’s “First Use” policy and term it as one of the destabilizing factorsespecially during a crisis. At the same time, we have to be mindful of to maintain “First Use” doctrine.It is usually believed that strategic forces comprise on land based missiles and aircraft are usually vulnerable to detection whereas a nuclear submarine guarantees an assured second strike capability as it is underwater and undetectable. The security, guarantee and certainty providedby a nuclear submarine for an assured second strike to Pakistan, most probably country would change its nuclear doctrine from “First use” to “No First Use” policy. The “No First Use” policy would not only stabilize the deterrence in the region but wouldalso ease the apprehensions of the world regarding nuclear South Asia. A strong naval force with nuclear submarine is imperative not only forPakistan’s robust and credible deterrence but also for its geo-strategic and geo-economic position. Long lasting, secure, safe, effective and reliable nuclear deterrence lies on enduring nuclear triad.